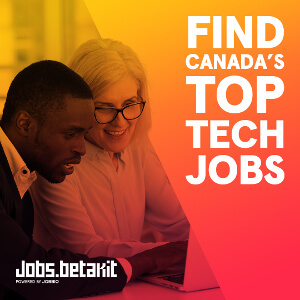 Every day, Canada’s best startups post the latest job opportunities on the BetaKit Job Board; from early stage to series A, FinTech to wearables, the BetaKit Job Board puts startups from all over the country into the spotlight. The best part about the BetaKit Job Board is that anyone can contribute. It’s pay-what-you-can to post, and all donations go to the Betakit.Fund, which will be invested into events and initiatives that grow Canada’s startup community. Lightspeed is looking for a strong UI/UX Designer to join its Montreal Hospitality team. The designer will be responsible for building storyboards, proof-of-concept mockups, demos, and prototypes, and championing UX design within the company. The applicant should have at least three years of UX experience and an education in graphic design. RED Academy, a digital agency school based in Vancouver meant to give its students hands-on education, is looking for a freelance digital marketing instructor. With at least three years of experience working in digital marketing, the instructor will be responsible for creating, delivering, and teaching the immersive full-time education program, and assisting the director of operations with ensuring that the school is providing effective mentorship. Marketplace intelligence platform Affinio is looking for a software developer to help it plan and deliver API products and build tools that enable data-focused research. The ideal candidate should have a degree in computer science or a related field, expert knowledge in a back-end scripting language like PHP or Python, and knowledge of API and SDK building techniques and styles. Eden, which provides on-demand lawn care and snow removal, is looking for a marketing and social media coordinator. The coordinator will be responsible for managing social media, ideating new methods to attract users, and helping with copy and content for presentations. The coordinator should be an outgoing individual that’s never afraid to get things done. EventMobi is looking for a senior software engineer to take ownership of design and deployment of its products, while also guiding its tech stack across its multitude of products. EventMobi is looking for an engineer with a bachelor or master’s degree in computer science, engineering, or a related discipline, at least five years of experience working in software engineering, and familiarity working in UNIX environments. 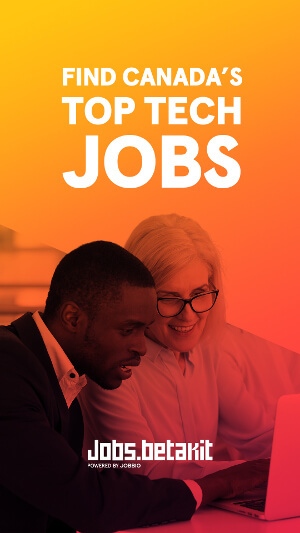 Bonus points for applicants that have an understanding of data-structures and modular design, and have a desire to get involved in all parts of the tech stack. CanCon Podcast Ep. 92: Can a business be built solely with Canadian tech?